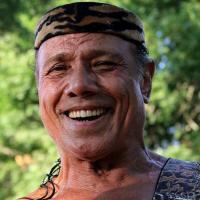 Familiy Ties Jimmy Snuka was the father of Sim Snuka and the father of Tamina. Students Trained Bob Bradley, Chris Rockwell, Isis the Amazon, Kimberly, Metal Maniac and Rick Fuller. Management Managed Hulk Hogan and Mr. T.
Managed by Managed by Buddy Rogers, Dawn Marie, Hunter Q. Robbins III. and Lou Albano.